Recently I told you I was updating my littlest’s nursery since we barely did anything to it before she was born. Well, I always wanted a hanging element in her room to give it more personality and to give her something pretty to look at while laying in her crib. I came across several great ideas on Pinterest and looked in many places on Etsy to see what I could find that would work. In the end, the ones in Etsy were a little too pricey so I decided to create one myself. And the DIY Chandelier Baby Mobile above is what I ended up creating. The best part is that all of my kids love it and it was super easy to make. 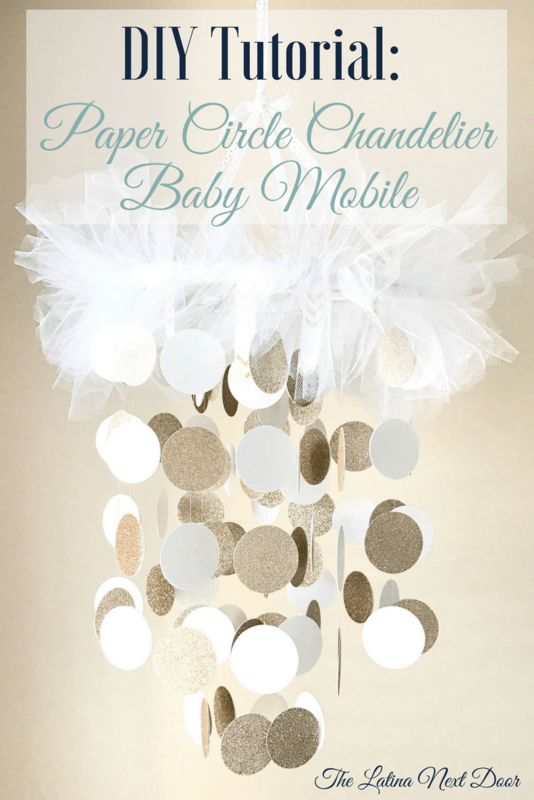 Even better is that I have created a step-by-step tutorial as a guest post over at my friend Carissa’s blog Thrift & Spice, so if you are interested in creating a DIY Chandelier Baby Mobile just like mine for your own baby or for a friend’s, check exactly how I did it here!